World Fitness Camp & Convention 12/1/2004 - 12/3/04. Mayor of Malaysia gave Jing Jing a thumb for her excellent taiji performance. 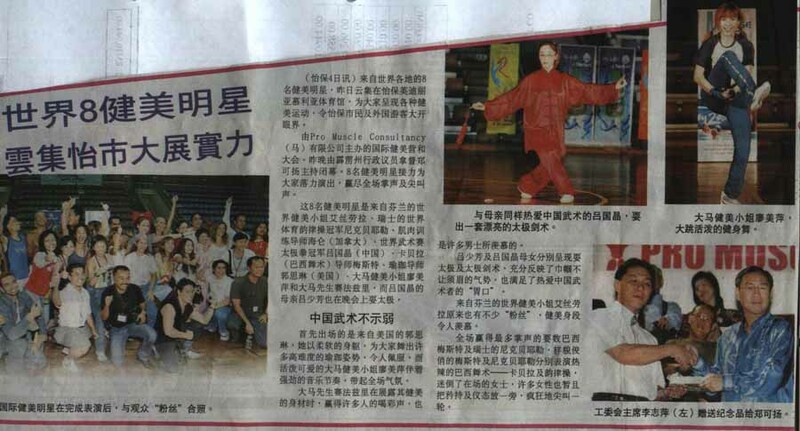 Mayor of Malaysia gave Siu-Fong a thumb for her excellent taiji performance. The World Fitness Camp Stars with all the VIP and the World Fitness Camp Team. Most of us are doing splits. The stars here came from Finland, San Diego/USA, Canada, Brazil, Malaysia, Switzerland. Stars of the World Fitness Camp shake hands with governemnent/VIP of Malaysia, Scientists and medical doctors in Sports. The Stars of The World Fitness Camp. Every one is a multi-World Champion in more than one country. Jing Jing's elegance and internal power is surpassing her mother now! Siu-Fong is very proud of her. After the performance, we are facing all the audience on one side of the Gym. 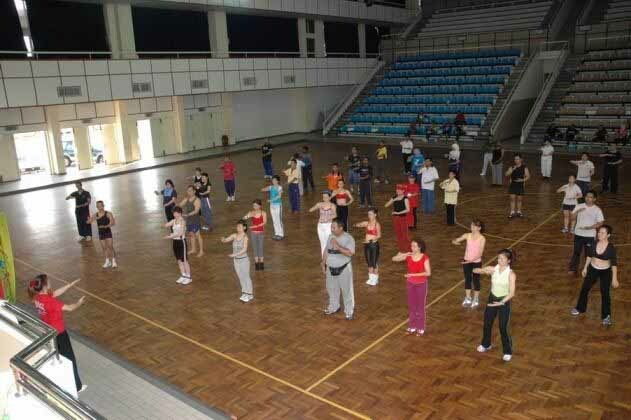 Jing Jing and Siu-Fong are teaching Taiji to over 100 people in the Gym in Malaysia. 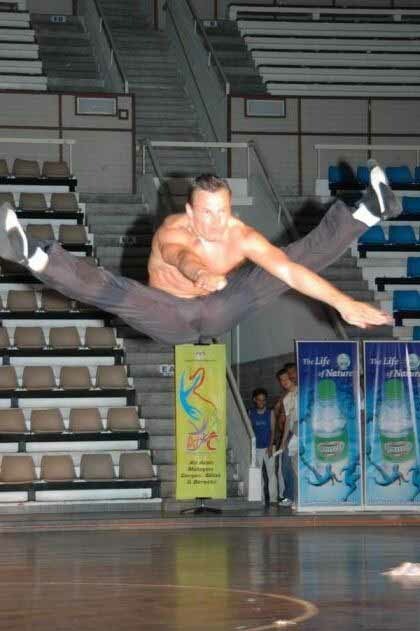 From Finland, Sammy's legs and flexibility and high jump are all powerful! 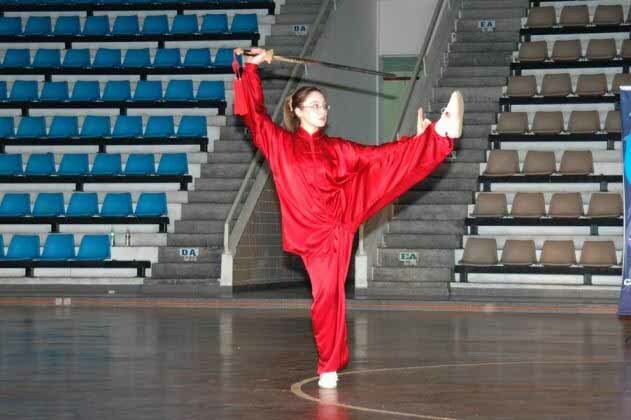 From Brazil, Eclilson's Brasil martial art is amazing. He captures everybody's attention and won the most applause. They all love him. From Finland, Else is performing the ribbon in high quality. She is wonderful! from Switzerland, Nick has the best body for dance. He moves like a "Fish". His flexibiility is way beyond your imagination. Syed Fazli is the star of Malaysia. His muscular body is great! Mei is also a star in Malaysia. She is very cute and very energetic and flexible too! At the Opening Ceremony, we all have a great time! 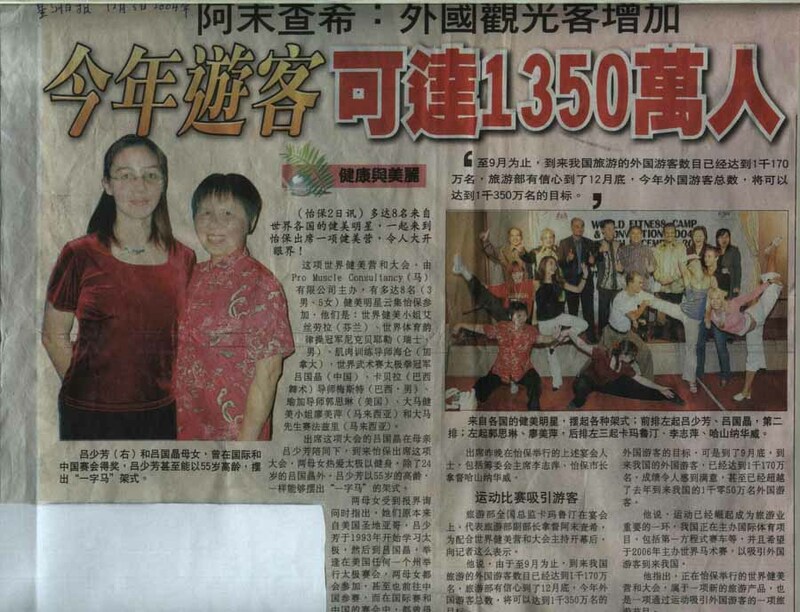 Newspaper articles about World Fitness Camp in Malaysia.